One of my favorite parts of my job is seeing dogs overcome a particular challenge they have. I wanted to share the stories of two dogs in particular. Vader is a dachshund. I first met Vader in 2015. Vader didn’t like to be handled. He was especially aggressive when it came to trimming his nails. On his first or second visit, he sunk his teeth into my hand. He nailed me good. I talked to his owner about his behavior and discussed his issues. We got Vader on a schedule with just me for grooming and the owner worked with him at home. Over the next year, Vader (I nicknamed him Viscous Vader, but he’s really sweet once he trusts you) came in for grooming and each time he fought having his nails done. I used safety restraints (groomers helper) and we got the nails done, by the second year he started to get a little better but still required a groomers helper. Last year I began using an Ecollar dome on him (I don’t use muzzles, this is like a space helmet). We used the (aka) air muzzle for about 4 visits. Now Vader is fully rehabilitated and requires no extra restraints or Ecollars. He even allows my bathers to work with him and enjoys the grooming process. Instead of hiding in his kennel, he comes right up to us. He knows the routine, he has built trust with us. I am so happy for him. 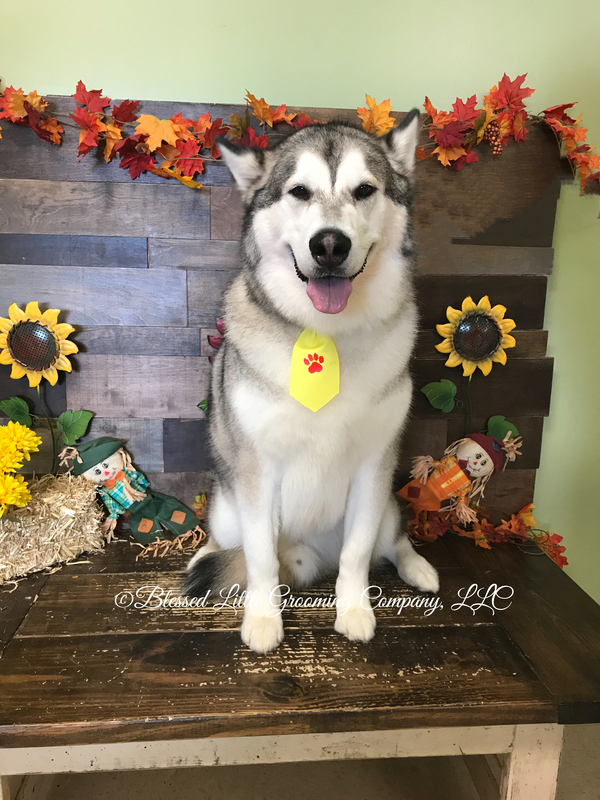 Havarti is an Alaskan Malamute. He’s a very large solid built dog. I’ve been grooming since he was a puppy. An 8 month old large breed dog is still a huge dog. Havarti was and is wild. Sweet as can be. Literally a giant teddy bear. But he didn’t like his nails clipped. He would let us do whatever we wanted except that. It would take two and sometimes 3 of us to hold him down. He thought it was a wrestling game. He loved it as long as we didn’t have nail trimmers. Some days we only got one paw done. But we wanted to make sure grooming was a positive experience for him. Since his owner had him on a regular grooming schedule he came in often enough and now at three years old, Havarti doesn’t mind his nails being trimmed. He still loves to wrestle and thinks that’s the whole point of the grooming appointment. Dogs have feelings and emotions and unique personalities. Each dog that walks into my salon is addressed as an individual. I look for their strengths and weaknesses and help them to build trust and confidence in the grooming process. Grooming is a necessary, yet invasive part of a pets life. 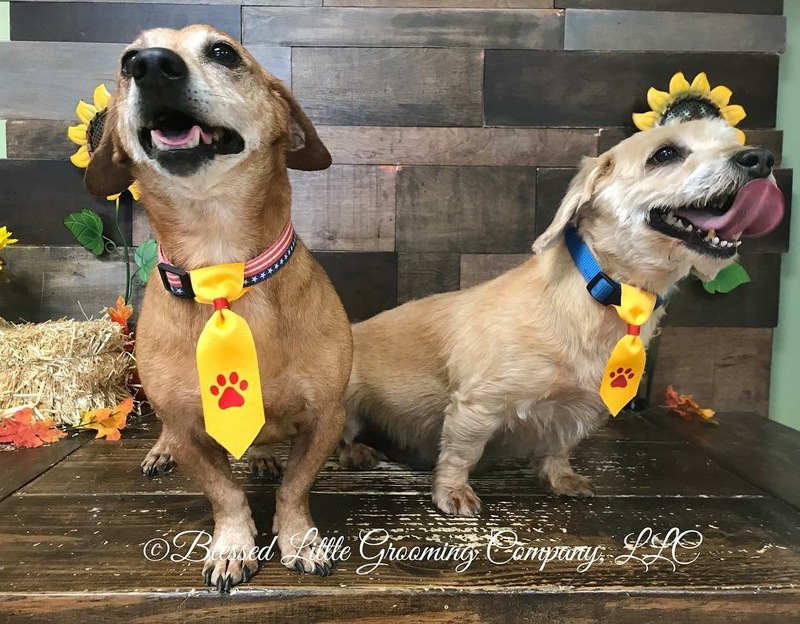 A dog that is accustomed to regular gentle expert grooming will have a positive grooming experience. That’s my primary goal here. Happy dogs make my job more enjoyable.